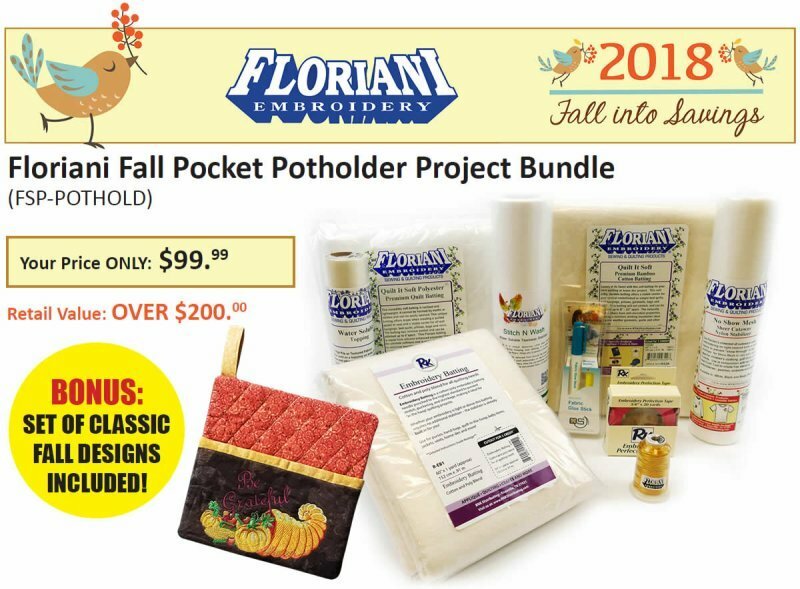 BONUS: Set of Classic Floriani Fall designs! The project you can’t say five times fast! Bring this beautiful Floriani horn of plenty to your kitchen with this potholder project, including instructions and all the stabilizers and tools you need to make it. An over $ 200 retail value that can be yours for $ 99.99 during Fall into Savings!